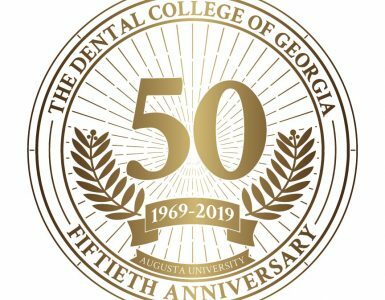 Smiles abounded as more than 160 children were bused to The Dental College of Georgia Feb. 3 for the college’s annual participation in Give Kids a Smile Day. 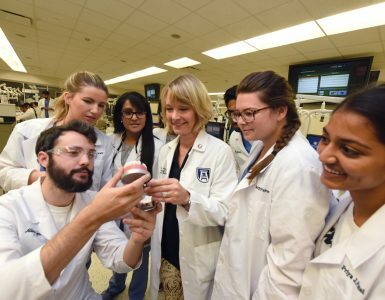 The event, sponsored by the American Dental Association, takes place in dental schools and practices nationwide on the first Friday in February to treat medically underserved children and highlight the importance of access to quality dental care. 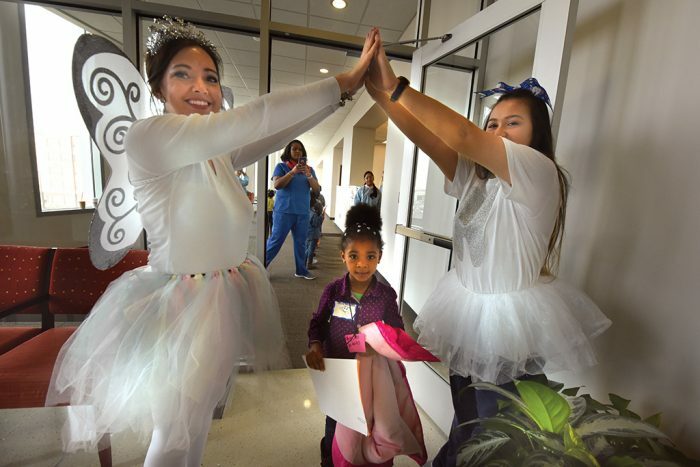 “We do this every year in hopes of helping these children find a dental home to help care for their dental needs on a regular basis,” says Dr. Tara Schafer, interim chairman of the Department of Pediatric Dentistry. This year, the children at the DCG event were bused from the Augusta-area schools of Rollins Elementary, Monte Sano Elementary and New Holland Mennonite School. 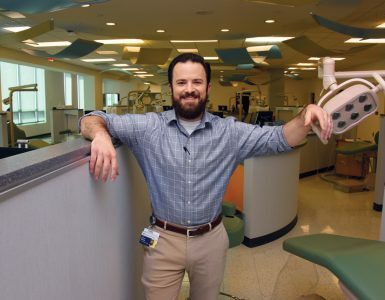 In addition to providing treatment and referrals, Schafer says, the event enabled dozens of faculty members and area dentists an opportunity to come together for a common cause while providing a vital training ground for dental and dental hygiene students. Procedures provided included 148 cleanings, 138 fluoride treatments, 204 sealants, 18 fillings, six stainless-steel crowns and 24 extractions. Nationwide, the event has served more than 5.5 million children since being launched in 2003. More than 10,000 dentists across the country participate annually.